As big as tech companies go, they don't get much larger than Google. But even this internet giant knows that it has to live by the mantra, innovate or die. Every year we see a steady stream of updates, new products and even new divisions launched by the alphabet group and backed by Googles infrastructure. It is a trend that will continue and 2017 will be no different. 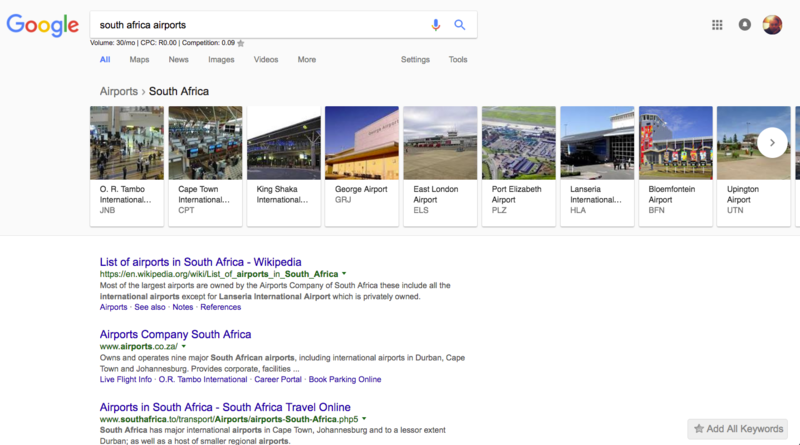 Google kicks off 2017 with a new incremental feature you may notice popping up on your desktop and mobile search results pages. 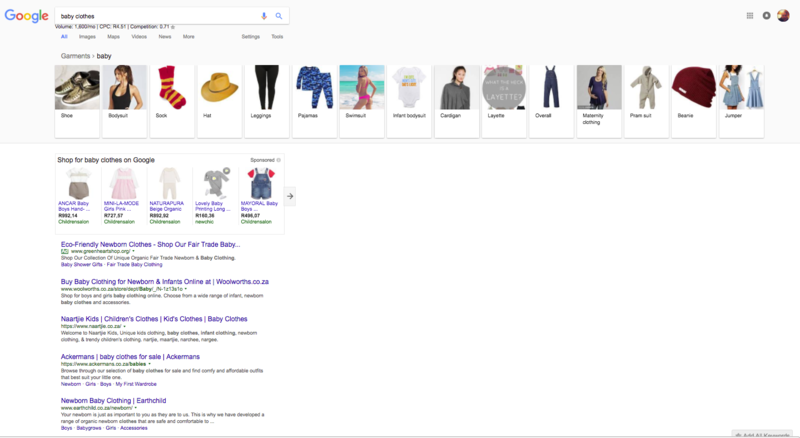 If you're an avid Googler like me you may have noticed the addition of a new feature aimed at improving the relevancy of results for the more generic search terms. 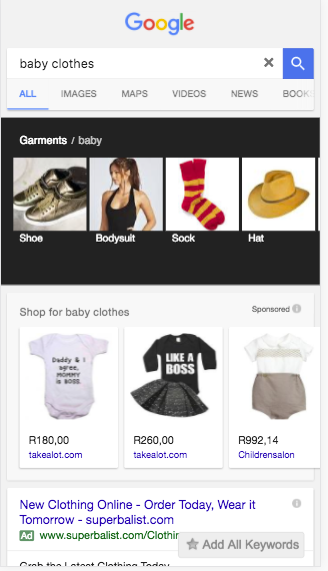 If you search for generic or broad generic keywords such as [baby clothes], [kids clothing], [South African Airports] you may get served with a carousel of more refined topic suggestions which displays on both mobile and desktop SERP. While we cannot say for sure why Google has introduced SCF's we can assume that it's due to certain user behaviours we've highlighted in the past. 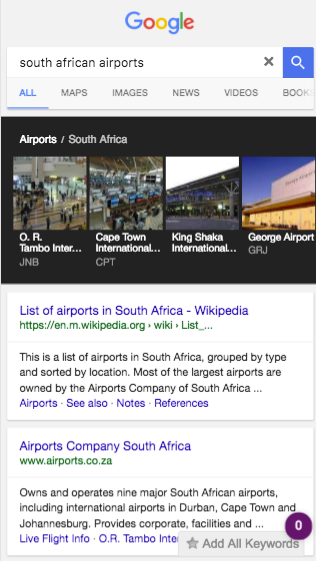 After having a look at how search carousel filters operate we assume Google wants to drive the following. The carousel function has not come out of left field as it's been served to long tail search resutls for quite some time. 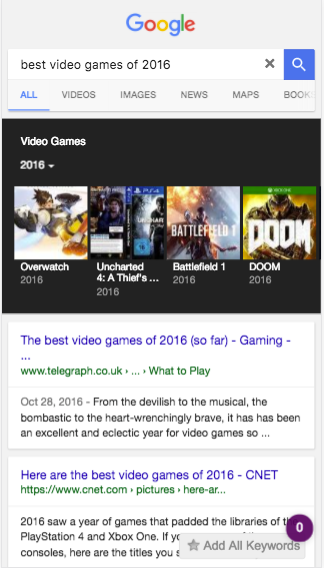 For example, if you run a search for [best games of 2016] you will be served a carousel of suggested games to search for. 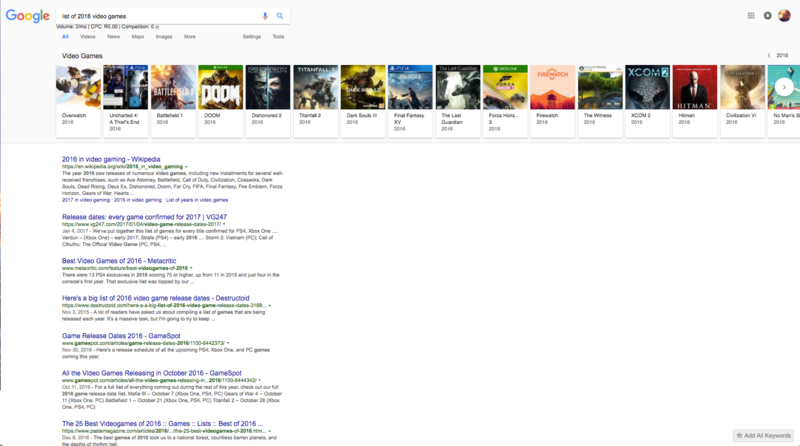 Have you begun to notice this when you search? Let us know what other queries can you trigger this carousel based filter for in our comments section below.